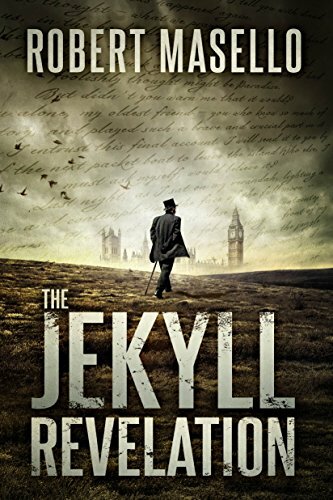 Three parts historical fiction, two parts horror story, and one part adventure/thriller, The Jekyll Revelation by Robert Masello was an interesting read. Masello’s book takes a look at the Jack the Ripper murders and a popular theory at the time of those murders, and asks the author if such a theory is too far-fetched. Writing horror isn’t easy. There are a lot of pitfalls that an author can fall into revolving around whether something turns too gory, too real, too fake, too hopeless, too unbelievable, or too disconnected from it’s audience. A lot of horror starts out well, but when it comes to the middle of the second act, it falls apart, a victim of it’s own narrative as the author tries and fails to ramp up the tension in new and exciting ways while still keeping our interest in these characters that we’re pretty sure are all going to die anyway. 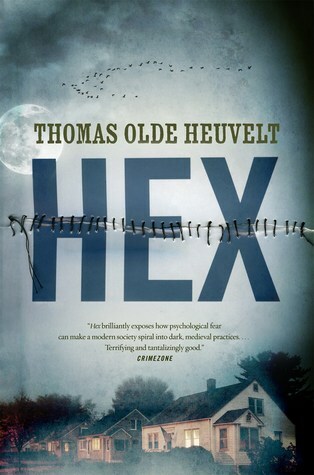 I point this out because I think that Hex by Thomas Olde Heuvelt is possibly one of the best examples that I have ever seen of how to take a few classic horror tropes and write them as new and exciting plot devices without being too heavy-handed. Recently, my laptop has been on the fritz. When I first got it, it was a refurbished model off of Groupon. I was impressed (at the time) with the hard drive size (500 GB) and the RAM (4 GB), but I was less than impressed with the amount of heat pouring off of it every time I used it. I dealt with the heat issue by getting one of those lap fans everybody uses, but also by researching as much as I could about heat issues with computers. I ended up installing different BIOS updates and all sorts of other things before finally surrendering to the fact that this computer was just going to run hot. Since then, the heat (and a few bad USB ports) are the only things I’ve had to complain about. It’s been fine otherwise, and perfect for helping me progress through my writing career. Unfortunately, after a fun trip this weekend, I might have shoved my laptop into a too-tight bag and subsequently made it annoyingly unuseful for a writer. After our trip, I had some server updates that I wanted to run (yeah, we have a home server. I’m that nerd) and went to my browser on my laptop to access the server via Chrome. For some reason, my laptop decided not to open any icon that I clicked on. After three restarts finally seemed to solve that problem, I began to the type the IP Address for the server and noticed a problem when I got about halfway through it. The 9 button just decided to start typing on it’s own. I restarted, tested, restarted again, tested, restarted again, and it seemed to fix itself, but the desktop icons wouldn’t open again. I Did one final restart and everything finally seemed to be working. Then I opened up a word document to start working on the end of Broken Nights: Strange Worlds, and wouldn’t you believe it, the 9 button decided it wanted to help me write the story again. Very Loud Sigh…followed by cuss words. That’s no good for an author, but lucky for me, I have solutions. The real problem for my dilemma is that I don’t want to buy a new computer. This isn’t entirely true, of course. Anyone who knows me knows that I really enjoy buying new computers. The truth is, I don’t want to spend the money. My wife offered to loan me hers, but my “Maker” ways make me tear apart and mod things that I use. Basically, if she loans me her computer, I’ll want to do things to it that make it very un-hers. My wife is awesome, even for thinking of such a wonderful suggestion, but she’s too awesome for me to abuse her wonderful gift. I also repurpose laptops for friends when they need them. I swap out hard drives, add and remove RAM, and install different Linux environments so that my friends can have a running laptop. If this solution is good enough for my friends, why not me? A few months ago, my mother sent me my dad’s dying computer. I installed the latest Ubuntu on it, and was using it as more of a prototyping experiment more than anything. In light of the system failures in my laptop, I started downloading my entire OneDrive (only a few GB) to the Ubuntu box. My only reason for seeing the Ubuntu laptop as an inconvenience is that I have subscriptions on the Windows machine. Steam, Adobe Photoshop, and Microsoft Office. All things that don’t translate well when switching over to Linux. To be fair, there is a Linux Steam client and GIMP is a great Photoshop alternative, but Microsoft Office is a disappointing service to lose full access to. The great news is that there are tons of open source (free) alternatives to everything that I’m used to, and Microsoft has online tools that are just slimmed down versions of their downloaded suite of services. So, my plan for now is to transfer anything important to the Linux laptop, install the programs I need to keep on keeping on, and to transfer the RAM cards from my laptop to the Linux laptop to improve the functionality of it. What does this mean for my writing? Absolutely nothing. I was using OneDrive as a back up for my important things, including my writing. When I hit save on my story last time I was writing it, it uploaded any changes to OneDrive instantly. All I need to do is sign into Word Online and start typing, or open the downloaded OneDrive backup I did the other night and continue the document from there. Frustrated at losing a computer’s functionality, but not as frustrated as I could have been! #creativelife! Back in 2008, I moved to Iowa from upstate New York (read that as “Farther upstate than what you’re thinking”). I’m a social butterfly, and I made a ton of friends in my new home very quickly, but that didn’t stop me from having evenings alone. On one of those particular evenings, I made a serious decision to do something silly: I was going to rent all of the sci-fi shows that I had never gotten a chance to see before then and give them a watch (to be fair, I also included every b-rated sci-fi movie as well. For that reason, I’ve seen both Time Runner and The Guyver. For both of those, I thank you Mark Hamill). This is how I became a fan of The X-Files, staring David Duchovny and Gillian Anderson (and a million other stars who would later go on to guest star or star in their own sci-fi shows). I went on every single mission with them and grew to love Mulder’s silly moments and Scully’s skepticism. And, after binge-watching all nine seasons, keeping magnets at the ready, and learning to fear the year 2012, I faced the inevitable truth that so many others had already learned to cope with. It sucked, and I tried finding more of the snarky Fox wit through the comic books, but it wasn’t the same. The movies came and went, trying to fill the gaps for some of us, but alas, they were a drop of water in a desert. There and gone far too quickly to quench any real thirst. I had to face a cold and hard fact: There were never going to be any more of The X-files. Not a reboot, and not another movie, but a new season picking up with most of the original cast and some great sounding new cast. Then the season came, with mixed reviews, but I loved it. The mixed reviews had me worried, though. Would they keep it going? Yes, it turns out. They are working on a 11th season as we speak. Absolutely wonderful, but what about the time in between. Do I really have in the vast oceans of time between each of these seasons? As it turns out, no, my friend, we no longer have to wait idly by. 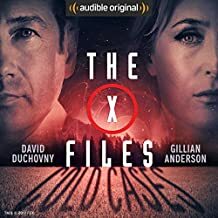 That’s where Audible’s new series, The X-files: Cold Cases, steps in. Cold Cases is a full cast dramatization, bringing back all of your favorite characters and filling the gap between the end of the first nine seasons and the beginning of the 10th season. It’s cleverly done, and brings to life the characters that have earned so much of our respect. The only negative to any of this was that the writing of the show had to be changed to fit the new format. Instead of seeing something and then getting a snarky Mulder comment or a dry Scully remark, we instead get told that something is happening and then receive the comment. See, very descriptive, reminding you that it’s a radio show. I think I might have preferred narration instead, but I honestly don’t know because it’s not an option. This isn’t a complaint, so much as the only thing that made it different than the show we love. Other than that, you get all of the great sci-fi tropes and monster of the week things that X-files is famous for, as well as some new sci-fi tropes that I don’t think X-files has ever dealt with in the past. You get Smoking Man, Skinner, Reyes, Doggit, and a few more surprises that I won’t spoil for you. Oh boy, you’re in for a surprise. I give this a 5 out of 5. I loved it, and I want more Audible Original full dramatizations. I’m moving on to the Alien ones next, and the sequel to Cold Cases will be out in October!